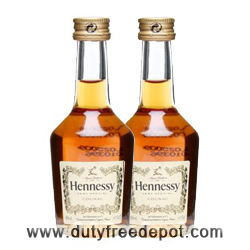 Aged between 4 to 10 years, Hennessy V.S.O.P. Cognac is a relatively recent blend with notes of lemon and citrus under a dominance of the Fins Bois Cru. On the palate this Cognac you will notice dry almond and an idea of spice and honey.